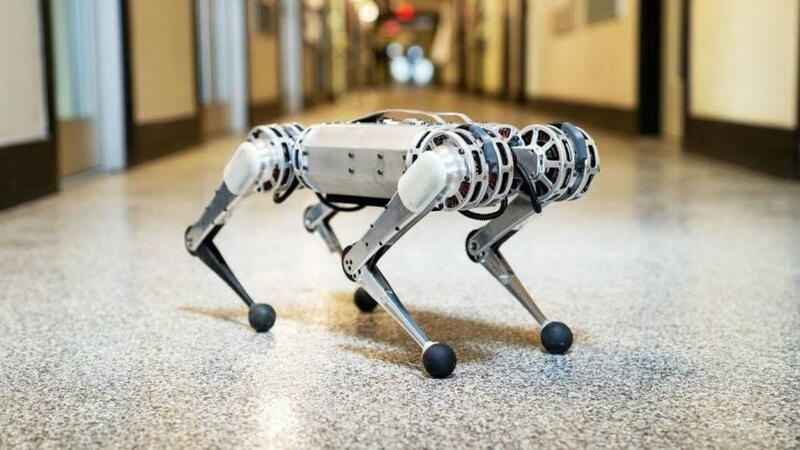 Last month, the Massachusetts Institute of Technology (MIT) posted a video of Mini Cheetah, a four-legged robot from the lab of Sangbae Kim. 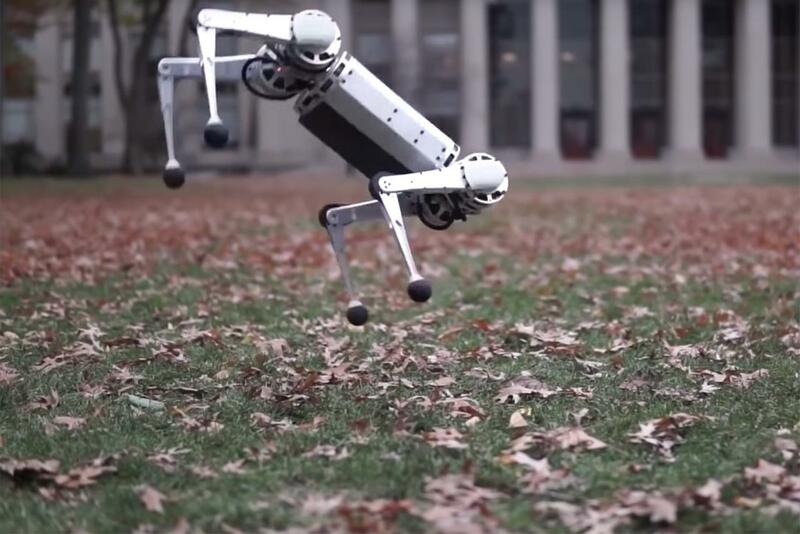 The robot dog is super light on its feet, with an identical running style to the killer robot dog in the Black Mirror episode called "Metalhead." 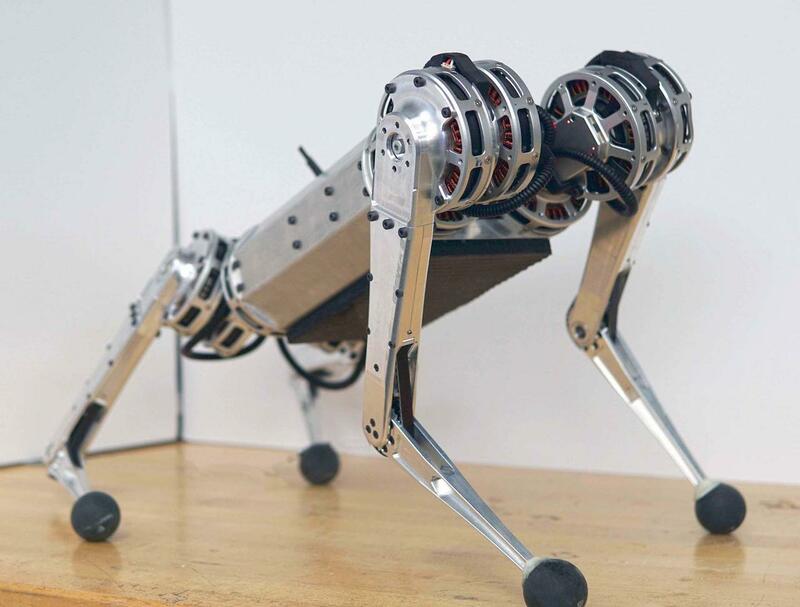 The four-legged robot can bend and swing its legs wide, allowing it to walk either right-side-up or upside down, said MIT News. The robot can traverse over uneven terrain and even perform gymnastic stunts. The Mini Cheetah is a miniature version of the Cheetah robot, which weighs 90 lbs making it the size of a large dog. Coming in at 20 lbs, the Mini Cheetah can trot untethered like its predecessor at 2.45 meters per second, but its smaller size allows it to have remarkable agility. The most impressive move is its ability to perform backflips. MIT researchers claim Mini Cheetah is designed to be “virtually indestructible." If a component of the robot breaks, the mini cheetah is designed with modularity in mind: "Each of the robot’s legs is powered by three identical, low-cost electric motors that the researchers engineered using off-the-shelf parts. Each motor can easily be swapped out for a new one," said MIT News.“You could put these parts together, almost like Legos,” says lead developer Benjamin Katz, a technical associate at MIT. Researchers will be presenting the Mini Cheetah at the International Conference on Robotics and Automation, in the second to last week in May. The lab is already building a small army of Mini Cheetahs, with ten more expected in the near term to be loaned out to other research facilities across the country for further testing. “A big part of why we built this robot is that it makes it so easy to experiment and just try crazy things, because the robot is super robust and doesn’t break easily, and if it does break, it’s easy and not very expensive to fix,” says Katz, who worked on the robot in the lab of Sangbae Kim. To see the new Mini Cheetah perform backflips, check out the video below.